Arrrgggh! International Talk Like a Pirate Day is upon us! What better way to celebrate International Talk Like a Pirate Day than by transforming your little ones into some awesome looking pirates? Best to search for a stencil online and then trace it onto the bristol board. Get out the white paper and draw your best skull! Let your kids get creative with the colours! Thanks to wikiHow for showing us how to create this amazing craft. International Talk Like a Pirate Day wouldn't of been the same without your help! Make sure to not glue along the bottom edges or else you won't be able to wear your new awesome pirate hat! Argghh, that'd be frustrating! After gluing, leave your hat for an hour to dry properly. 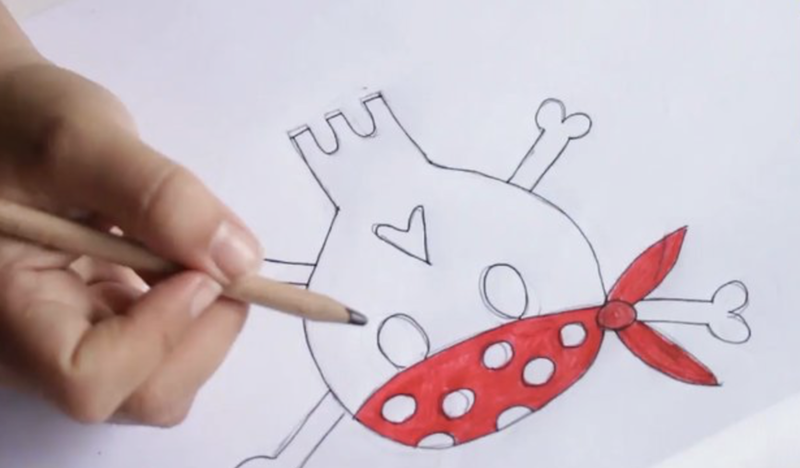 After that let your little pirates run wild and be sure to show us your creations on Facebook or Instagram! Want even more for your little pirates? Like a parrot perhaps? Check out this Pretty Parrot Craft to give your little ones a colourful companion!